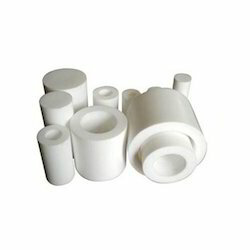 We have been able to put forth the clients a comprehensive assortment of PTFE Bush. Fabricated using advanced cutting-edge technology, high grade components and modern tools, the range widely used in diverse industrial applications. 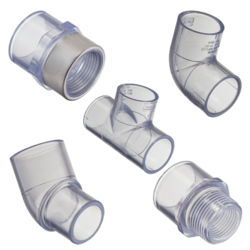 We are engaged in bringing forth the clients an excellent range of Plastic PTFE Bush. Fabricated using best grade raw material, the range is available in varied lengths up to 6000 mm. The offered range is widely known for light weight, high tensile strength, ability to withstand high temperature & pressure, precise dimensions, non-toxicity, chemical & corrosion resistant and low moisture absorbency. All Column Sections are supplied complete with support. The packing must be ordered separately. On special request. A column sections can be supplied without the packing support. Column sections and pipe sections may be used for the construction of columns of all. 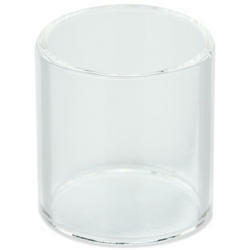 we have been able to provide the customers with a broad array of Lateral Tee. Fabricated using ultra-grade raw material, advent tools and sophisticated technologies, the range is available in distinctive sizes and specifications, which can also be customized as per the clients' requirements. 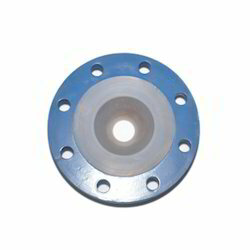 We have been able to provide the customers with a commendable range of PP Reducing Flange Reducer. Extensively used in varied industrial applications, the range is widely appreciated by the clients for reliability, excellent performance, efficiency, corrosion resistance and durability. 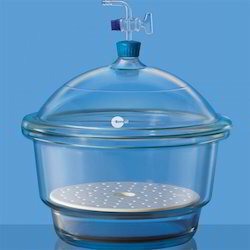 We take immense pride in presenting our clients with a sophisticated range of Scientific Condenser. These products are highly appreciated for their intrusive features like dimensional accuracy, durability, efficiency and wear & tear resistance. Clients can avail our products in customized options as per their specific requirements.